After launching last week for BlackBerry 10, the Projectile Physics app has been updated in order to also support both Android and Windows Phone. This app is a projectile physics calculator designed to solve for all of the components of a typical projectile motion problem. 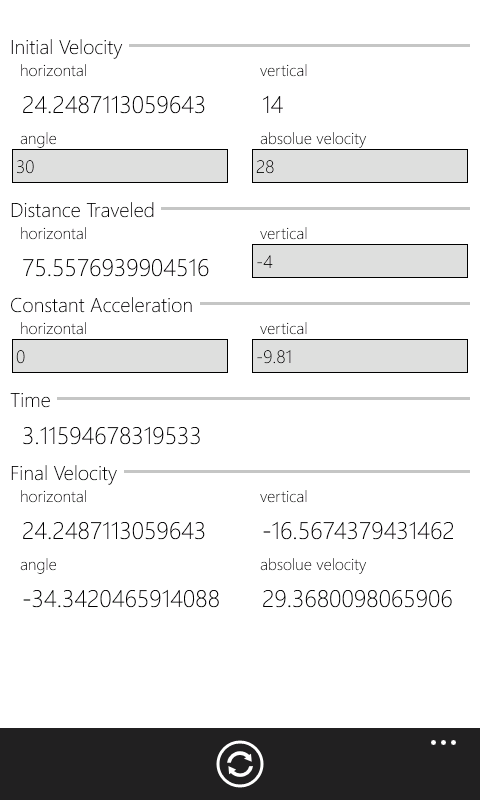 The app solves for both the vertical and horizontal components of the distance traveled, the constant acceleration, the initial and final velocity, as well as the time. These factors are solved for in real time in order to help you get back the factors of the equation quicker.